Today is Wednesday, November 16, the 321st day of 2016, with 45 days remaining. There are eight days until Thanksgiving, 35 days until the winter solstice, 38 days until Festivus, 39 days until the start of Hanukkah, 40 days until Christmas Day, 66 days until Donald Trump becomes president of the United States, and 722 days until the November, 2018 mid-term election. 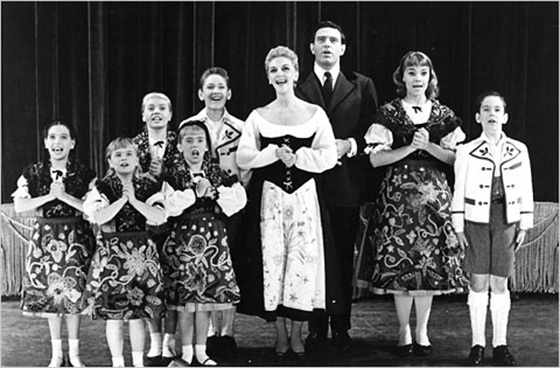 On this day in 1959, The Sound of Music opened on Broadway, starring Mary Martin and Theodore Bikel. The show went on to win five Tony Awards and had 1,443 performances during its original run. It spawned scores of international productions and revivals, and was adapted to both motion pictures and television. Among other things, today is also National Fast Food Day. There are over 300,000 fast food restaurants in the United States alone, with annual sales of over $110 billion. Does fast food really need a day? Florida man arrested for domestic battery with Ramen noodles. As of this writing, The KGB Quotations Database contains 41,629 entries. Check it out. "Why are philosophers intent on forcing others to believe things? Is that a nice way to behave towards someone?" Today's edition is late and abbreviated due to some software issues. Back to normal tomorrow, I hope.